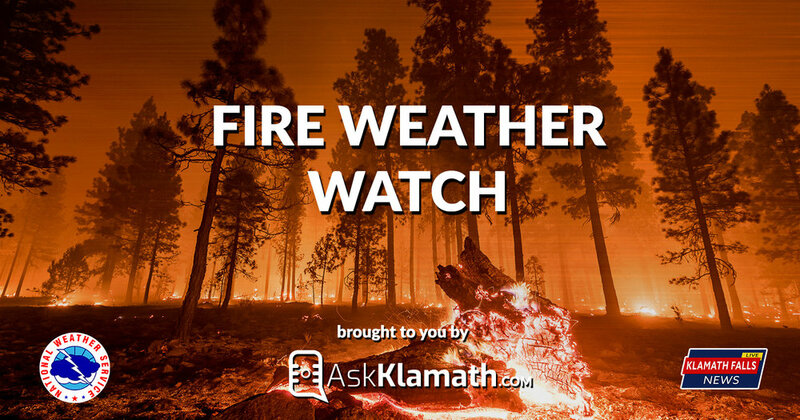 Fire weather watch in effect from Thursday Afternoon [8/9/18] through Thursday Evening for strong gusty wind with low relative humidity for most of fire weather zones 281 and 285 in California (Western Siskiyou County, Modoc County) and 624 and 625 in Oregon (Eastern Klamath County, Lake County Harney County). It will become hot this afternoon through Thursday as the upper level ridge over us strengthens. South winds will generally increase from the Cascades eastward today through Friday. Critical wind and RH conditions are expected across the Shasta Valley and Modoc Thursday afternoon and evening, and then across much of the east side Friday afternoon and evening as a dry cold front moves through. Cumulus build-ups will be possible across northern Klamath and Lake counties Friday evening. Some drizzle and light showers are possible along the coast and in the Umpqua Basin Friday into Saturday as the front and a related upper level trough move through. Temperatures Friday into Saturday will be 10 degrees cooler than they will be on Thursday.